LONDON-based distiller Renegade Spirits has begun work on its groundbreaking new rum distillery on the Caribbean island of Grenada. 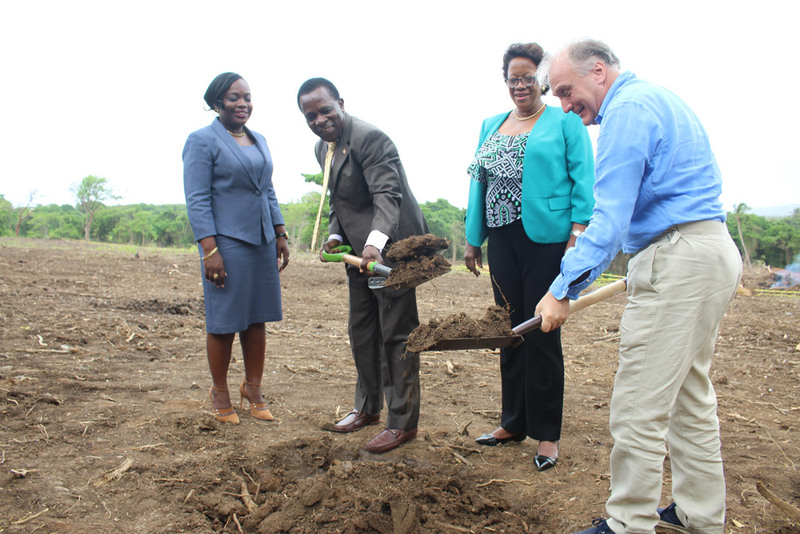 Located near Pearl, on the north-eastern side of the Windward island, the new distillery will cost USD $20 million, being both technologically advanced and environmentally sound. Designed to produce up to 1 million litres of spirit each year it will be one of the most significant rum distilleries in the Caribbean. The Renegade Rum project has already created 50 jobs locally, with a further 100 jobs requiring a wide range of skill levels to be created over the next year, all in a rural area of high unemployment. The aim of the Renegade Rum Distillery is to distil and mature the most compelling rum the world has ever seen. Using the latest techniques and equipment, together with an innovative, industry-challenging philosophy, Renegade Rum believes this is a landmark rum project that will raise the bar worldwide. Drawing on experience from both the Scotch and Irish whisky industries, as well as the wine world, Renegade Rum is the brainchild of CEO Mark Reynier, who runs Waterford single malt whisky distillery in Ireland, and who was behind the renaissance of the famous Bruichladdich distillery on Islay, Scotland, in 2001. Renegade Rum CEO, Mark Reynier, says: “This project has been completely back to front: we’ve had to propagate cane first, and only then build a distillery. “I had been looking for a home for this project for over a decade before I found Grenada, but after my first trip around the island it was clear there was no cane left, just bush. We would have to start with a blank canvas, to prove there is enough cane potential to make it worthwhile building a distillery. Prime Minister of Grenada, Dr Keith Mitchell, says, “When I first heard about this project I was not entirely convinced that it could be brought to fruition but standing here today and learning of its many unique facets, I must say it is historic in every sense. The project will not only help boost the agriculture sector and enable diversification of the economy, it will also provide invaluable promotion of Grenada as the origin of this unique blend. Renegade Rum Distillery will use exclusively sugar cane reintroduced to Grenada in 2016 during the first phase of the project. The remote greenfield site will be surrounded by cane fields with the mill, utilities and distillery buildings located on three terraces overlooking the Atlantic Ocean to the east, extensive water meadows to the south, and a saltwater mangrove lake to the north. With the main equipment coming from Scotland, Ireland, Brazil, America, and South Africa, there is a global context. The rum – made by Grenadians with Grenadian cane – once matured and bottled, will go back out across the seas to global markets. Renegade Rum Distillery has a close partnership with CaneCo, its agricultural supply company that was set-up 3 years ago to propagate, cultivate and harvest super-premium sugar cane to supply the distillery. Taking a terroir-driven approach to rum production, numerous varieties of cane are grown across the island on varying soils and altitudes to maximise flavour differences. The harvest from each field of cane will be milled and distilled in isolation – from field to barrel. This will allow Renegade Rum Distillery to capture in its distillates the numerous expressions gleaned from Grenada’s unique soils and microclimates. With such attention to detail, it will be able to create a rum of unparalleled complexity. Renegade Rum’s distillate will be matured in oak barrels, before being brought to market around 2021/2022.